The Close Campsfield Campaign is gravely concerned about the way the situation in Calais is being mis-represented to the British public. 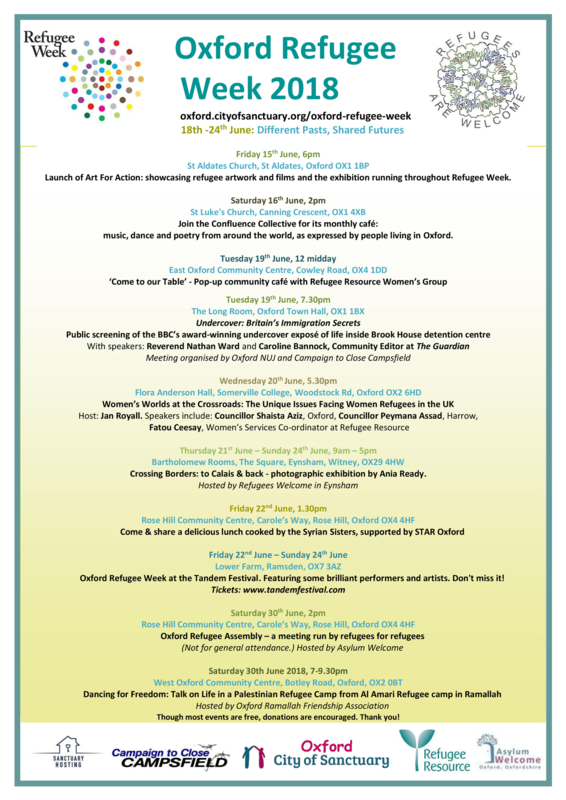 Come and hear the human stories behind the headlines of migrants and their journeys. Testimonies from migrants about their journeys crossing the Mediterranean and of life in Calais will be performed by actors for human rights. People with recent experience of solidarity work in Calais will be present for discussion after the performance. Please arrive in good time. Light refreshments will be available. Event free, no need to book. Donations welcome.